Frederick Delius was born in Yorkshire, England in 1862, to a German family of wool merchants. His father sent him off to be the manager of an orange plantation in Florida, hoping to mold the young Delius into a businessman. This turned out to be a major influence on his life and music. Sitting on his porch in the sultry Florida twilight surrounded by the soft scent of oranges, he would hear the traditional songs of the black workers. Their richly harmonized melodies implanted themselves in Delius's mind and helped shape his unique musical language. In Florida Delius first developed his love for music. He studied piano and music theory with a local organist, before his father finally let him study music properly. So Delius moved to Leipzig in Germany (where he met Edvard Grieg). After Leipzig, Delius was determined to become a composer. He went to Paris, helped by an Uncle, and lived there for nearly 10 years. His music became more rich and complex, and he began to compose several operas. But he couldn't really get to hear how his opulent orchestral music sounded, since he was still relatively unknown. He had to wait until 1897 to hear his own music performed by a full orchestra. Shortly afterwards, though, his music became increasingly popular in Germany. This is where he first established a reputation. English musical society didn't receive him that warmly though until conductor Thomas Beecham, a Delius fanatic (like me!) 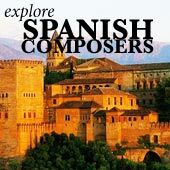 championed the composer's works. Beecham thought that Delius's music was some of the greatest and most beautiful ever written, and promoted it tirelessly in concerts and recordings. After Paris Delius settled in a beautiful small French village, Grez-sur-Loing, with his wife Jelka. He continued to compose, much in the same style as decades before. Frederick Delius always struggled with getting enough public performances of his pieces. Because of this he turned to recordings. During the last twenty or so years of Delius's life he became gradually more ill, suffering from syphilis. He eventually became blind and paralyzed, stuck in a wheelchair. His mind was completely fine but he couldn't compose with his wasted body. But, in one of the most touching stories in music history, help came. The young Eric Fenby, a fan of Delius's, offered to serve as the composer's aid and help him to compose. Despite rocky beginnings the pair established a workable relationship, and Delius composed the last of his output. Their relationship and story is chronicled in the film Song of Summer by Ken Russell. He eventually died in 1934. Frederick Delius's music is some of my all-time favorite. I feel a very strong connection with his lush, passionate works. His music a very unique sound. 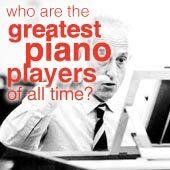 In fact, in my opinion, it's the most unique sound of any composer - you can always nearly immediately say "that's Delius!". Delius wanted to express emotions in his music, and nothing else. So he refined his compositions, polished them to a high shine, and injected them with a masterful delicacy and intricacy. His harmonies are unique as well, featuring both complex chromatic (almost jazz-like) chords, but without ever getting lost. His music moves slowly, almost meandering along. The melody is always changing, adapting, playing around, soaring. Frederick Delius was able to command an orchestra like no other. He uses the woodwinds and strings to amazing effect, and always manages to give his music a deliciously deep and rich bass sound. It reminds me of a combination of the music of Richard Wagner and Claude Debussy. In fact Frederick Delius had an interesting mix of musical influences. First of all of course is the African-American spiritual music, with its cheerful melodies and spirit. Second there is the influence of Wagner, who inspired Delius to create huge, rich soundscapes using all the magical colors of the orchestra. And third is the folk music of Scandinavia, and the imposing, vast stillness of the mountain landscapes in those snowy northern lands. Delius had as much mastery of miniature forms as the grand orchestral pieces. No matter the what the genre though you can always hear his distinctive musical language. 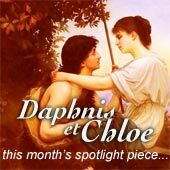 There's a sort of cliched idea of Delius as a quintessentially 'English' composer. Granted, his music definitely fits well over images of rolling green english countryside. But I don't think it's fair to call him an English composer. He didn't actually like England that much, and lived most of his life in other countries. A Village Romeo and Juliet, an opera retelling the classic Romeo and Juliet story. On Hearing the First Cuckoo in Spring, a sublimely atmospheric orchestral work, full of images of nature and spring. I think this is Delius's most 'English' piece. Brigg Fair, a beautiful orchestral rhapsody based on an old English folk-song. Mass of Life, a grand choral work based on humanist texts by Nietzsche. Koanga, an early opera based on the life of an African-American slave. Over the Hills and Far Away, a wistful orchestral piece which started Delius's popularity in Germany. Florida Suite, a collection of four orchestral pieces depicting different aspects of life on a plantation in Florida. Because Delius's music is so fantastically rich, I strongly recommend you learn the basics of getting good sound reproduction with a home stereo system before listening. 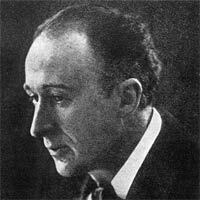 The UK-based Delius Society has a wealth of info about Frederick Delius.